ACCESSIBILITY: PARKING... Dirt, sand combo parking areas along the lake; PATHS/TRAILS... Narrow dirt single track trails of 3-7% grade along lake. Not accessible to wheeled mobility devices; RESTROOMS/FACILITIES/SHADE… None. No designated picnic areas or shaded area. No trees; DOCKS/LAUNCHES/PLATFORMS… None. In spite of what some info may give about this lake it has no boat launch, one launches off the shoreline by hand or trailer (be careful not to get stuck in the mud); DIRECT WATER ACCESS… No access for wheeled mobility devices; TRANSFER SYSTEMS... None; SENSORY... No sensory tactile markers for those with visual and other impairments; CAMPING... 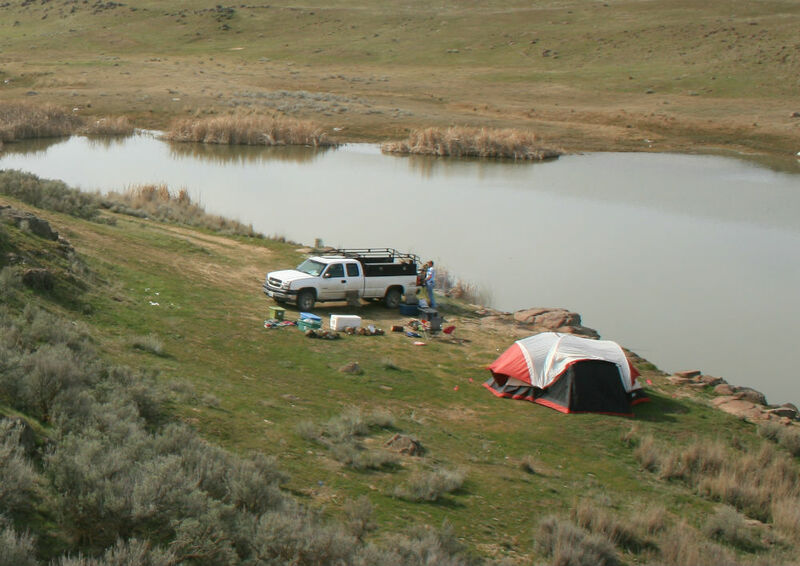 Primitive camping along lake shore; O.T.H.E.R… Oddities/Barriers: Lots of sand and deep mud during wet times of the year along shoreline; Terrain: Level to about 3-7% grades; H2O/Water: Water normally murky. Water temperature in the summer can be around 60 to 70 degree. 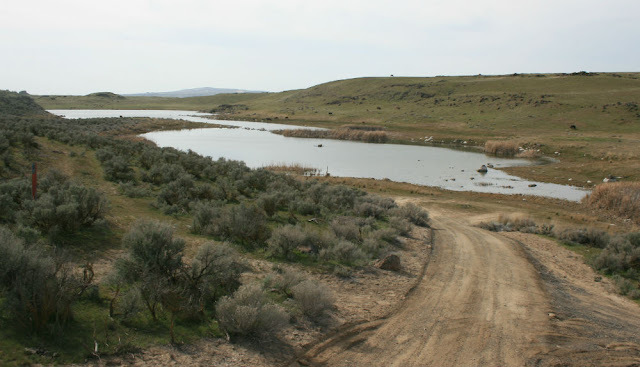 Drinking water not available; Environmental Conditions: High winds and hot summer temperatures; Resources: Food, drinks, and gas in town of Moses Lake, Othello (Wal-Mart) and at Potholes Reservoir resort area.